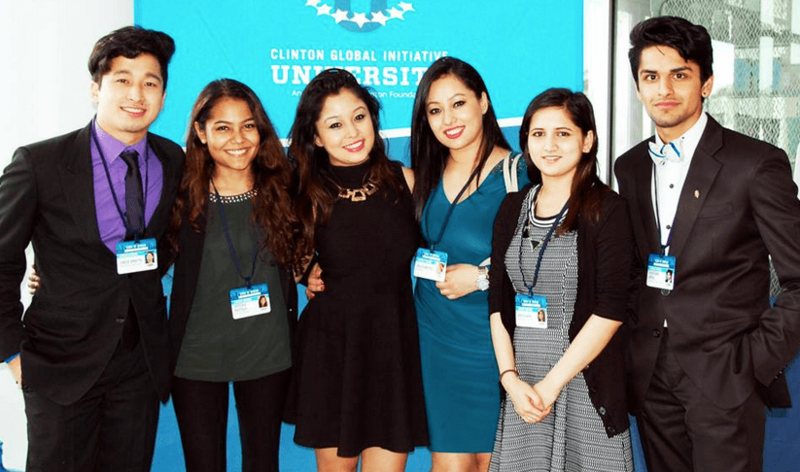 As a representative of Nepal and Seton Hill University (SHU) Dipeeka Bastola, a junior international organization and accounting major, attended the Clinton Global Initiative University (CGI U) Conference. This annual conference was held in Miami, FL from March 6 to 8, and there were more than 1,100 participants from over 80 countries. “There are five areas of focus for the conference: education environment, climate change, peace and human rights, poverty alleviation, and public health,” said Bastola, who submitted the commitment to attend with her friend in December. “My friends and I had a plan of doing a financial literacy program in Nepal, and we were building that plan. When we heard about the conference, we thought it would be a great idea to attend it,” said Bastola. The conference was composed of a plenary session and a breakout session. “The conference all in all was amazing. It was very inspiring to meet many young leaders from all around the world that had awesome commitment and so many of them had already turned the commitments into action,” said Bastola.